​EVERY participant must read and electronically sign below. 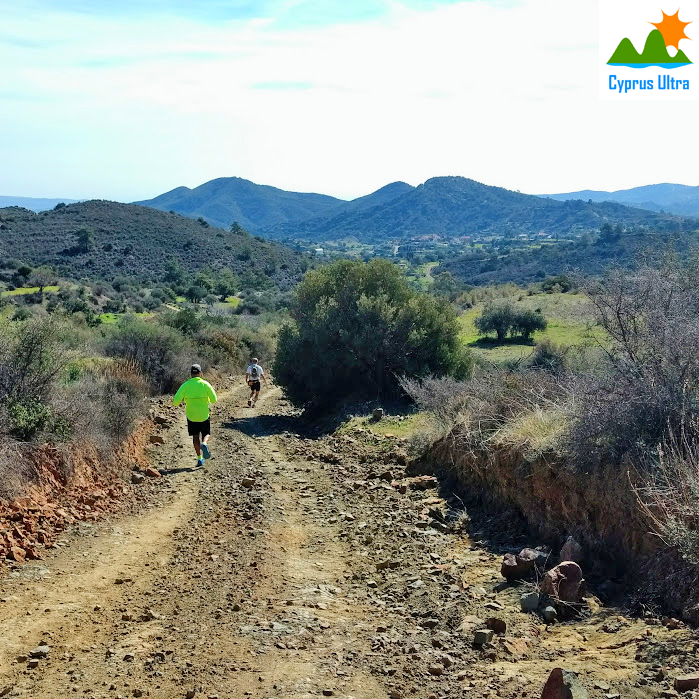 Cyprus Ultra: Accident Waiver and Release of Liability / Release of Name and Likeness I fully realise the dangers of participating in this endurance event which traverses difficult and hazardous terrain and which may expose me to dangerous conditions. I have been warned that I should not participate in the event unless I am in excellent physical condition and have considerable trail running experience. I understand I may be exposed to various risks involving an event of this type, including, but not limited to injuries or death from foreseeable and unforeseeable factors which may include dehydration, extreme heat, high humidity, electrical storms, falls, animal encounters, hazards from vehicles, getting lost or being injured at a remote location where medical attention cannot be timely provided. I acknowledge that this athletic event is an extreme test of a person’s physical and mental limits and carries with it the potential for death, serious injury and property loss. The risks include, but are not limited to, those caused by terrain, facilities, temperature, weather, condition of athletes, lack of hydration, equipment, vehicular traffic, actions of other people including, but not limited to, participants, volunteers, spectators, journalists, coaches, event officials, and event monitors, and/or producers of the event. The risks are not only inherent to athletics, but are also present for volunteers and support staff. I hereby assume all of the risks of participating and/or volunteering in this event. I certify that I am physically fit, have sufficiently trained and prepared for participation in the event and have not been advised other- wise by a qualified medical person. I hereby consent to receive medical treatment which may be deemed advisable in the event of injury, accident and/or illness during this event. I understand that all medical and/or emergency evacuation costs for participants or crews will be borne by that person or their heirs. The race organisers and sponsors are in no way liable or responsible for medical costs or emergency evacuation. In consideration of my application and permitting me to participate in this event, I hereby take action for myself, my executors, administrators, heirs, next of kin, successors, and assigns as follows: (A) Waive, Release and Discharge from any and all liability for my death, disability, personal injury, property damage, property theft or actions of any kind which may hereafter accrue to me or my traveling to and from this event, THE FOLLOWING ENTITIES OR PERSONS: Michael Rivers, V1 FITNESS, their owners, directors, officers, employees, volunteers, representatives, and agents, the event holders, event sponsors, event directors, event volunteers, as well as any and all involved municipalities or other public entities, (and their respective agents and employees); (B) Indemnify and Hold Harmless the entities or persons mentioned in this paragraph from any and all liabilities or claims made by other individuals or entities as a result of any of my actions during this event. I understand that at this event or related activities, I may be photographed, filmed, and/or videotaped. I agree to allow my name, photo, video or film likeness to be used for any legitimate purpose by the event holders, producers, sponsors, organisers and assigns. I have read, understand, and agree to abide by the rules of the event. I acknowledge that this Accident Waiver and Release of Liability (AWRL) form will be used by the event holders, sponsors, and organisers, in which I may participate and that it will govern my actions and responsibilities at said events. I understand that this AWRL shall be construed broadly to provide a release and waiver to the maximum extent permissible under applicable law. I hereby certify that I have read this document; and, I understand its content. It is further understood and agreed that this waiver, release and assumption of risk is to be binding on my heirs and assigns. Please fill out your details and submit your race waiver form. 2) ONE MORE FORM AND YOU ARE DONE! ​Keeping Safe during Cyprus Ultra Marathon. • It is essential that you take electrolytes during the race. Aim for one tab of High5 electrolytes in 750ml of water per hour. • Keep eating throughout the race to keep your energy levels up. Don’t wait to bonk before you eat, you will lose valuable race time and feel unwell. • Keep sipping water to ensure that you are hydrated. High humidity often masks how much we are sweating. • Race tactically. You may want to rest in the afternoon if you are running the 107 km race. • Wear sunscreen and keep some spare at the main aid station. have plenty of spare running clothes for regular changes. • Be aware that the heat will make your feet swell. Keep those toe nails short. • Have your race number visible at all times. • Have a Cyprus friendly mobile phone with you at all times and add this number, Michael Rivers 95508007. • 107 km runners bring several headlamps and torches with spare batteries. Please note that batteries often dump their charge quickly in the heat. • Make sure that you bring any medication you require and carry it with you, if needed. Spare medication must be labelled clearly and left at the main aid station with your belongings. • Seek help if you feel unwell. • Be aware of the signs that you may need to seek shelter (overly fatigued, confused, weak, shaking, overheating, shallow breathing, sweating profusely, stopped sweating, elevated heart race, restlessness or cold). • Keep off of the grassy areas as we have snakes here in Cyprus. The Cyprus Viper has poisonous venom. In the rare event of a bite it is best to call us for help immediately and to not move. • Run in the centre of the tracks. • Do not lay down on the trail to rest, use the facilities at the main aid station. • Keep away from any bee hives (white boxes on the trail). last passed or are near, and what you can see). • Be careful of your footing on the steeper sections of the trail. • Wear suitable trail shoes. sweaty feet, and long distances can result in blisters more readily. • Have insect repellent for the night.